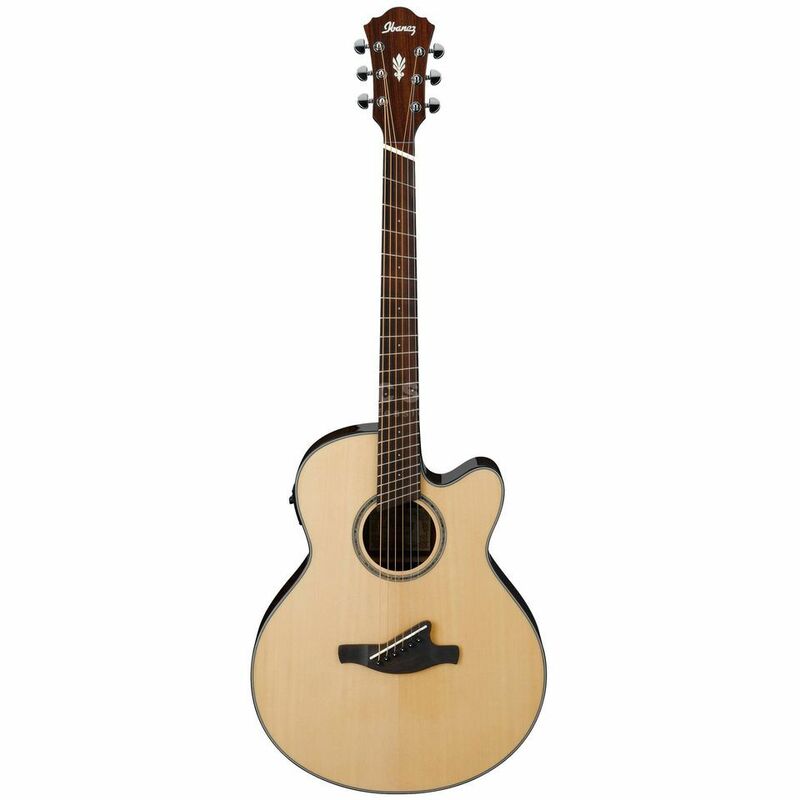 The Ibanez AELFF10 Acoustic Guitar Fanned Fret Natural High Gloss NT is a 6-string acoustic guitar, with a sitka spruce top, rosewood back and sides, a rosewood fretboard, and a natural high gloss finish. The Ibanez AELFF10 offers a stunning design and big tone, from a sitka spurce and rosewood constructed body, providing as full a tone as possible. Fanned frets are included to create deep lows and ringing highs, without sacrifing one for the other. A large body and innovative design makes the AELFF10 an electro acoustic guitar with an impressive versatility and high tone quality. Outputs: 1x XLR, 1 x 1/4"